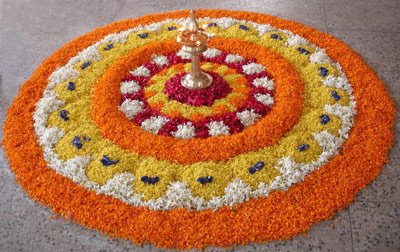 "WISHING EVERYONE A VERY HAPPY ONAM"
Swapna, Happy Onam! Such a pretty pookalam u hv designed!! Shall post mine tom! Thank you Mishmash for your wishes and for visiting my blog!!! Happy onam yar! poo kolam is really so nice!